We know… it’s been a long time since our last post. While things have slowed down here, stuff elsewhere in our lives has become busier than ever. We needed help keeping things fresh around here, so we’ve invited our friend, Murray to apprenticeship with us and learn all the ins and outs of food blogging. Why? Because hands down, Murray is one of the best home bakers we’ve met. She also happens to be a really great person. How talented is Murray? Check out this Wonderland themed cake she made for Mae’s 40th birthday! We’re so happy to introduce to you our friend and new blogging partner, Murray. 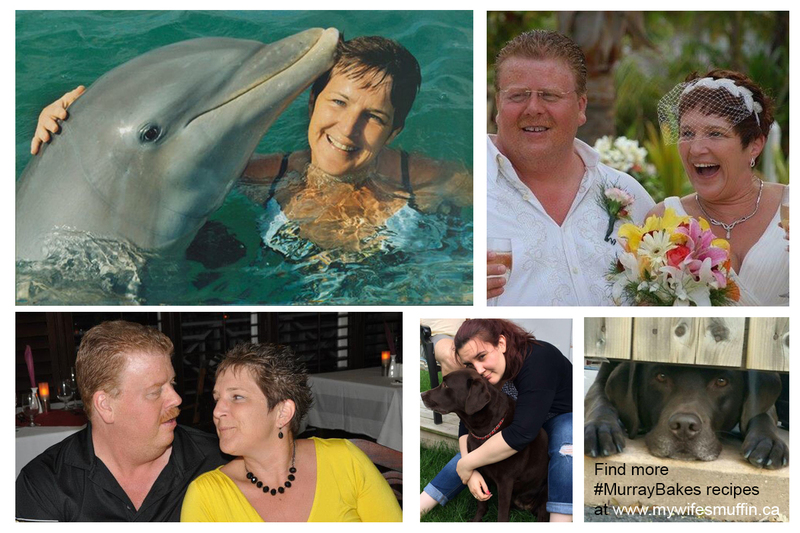 You can follow along with all Murray’s posts and comments using the hashtag #MurrayBakes. And don’t worry, Mae and I aren’t going anywhere, we’re just taking more of a back seat. Mae intends on concentrating more on our very punny content. We’re still working out all the details of this new partnership, but we hope you’ll join us in welcoming Murray to the world of food blogging! Without further adieu, we present Murray! I am Ann Marie aka Murray. First things first… a little about me: I am married to my darling hubby, Ted. I have a grown daughter, Sadie. My husband and I live in Pickering, Ontario with our lovely chocolate lab, Riley Girl. I am an full-time National Operations Manager for a major retailer. I love baking, music, rum, comedy, wildlife photography, and rum while baking. I love to have fun and enjoy life as much as I can. Baking is not a chore to me. It truly is a passion. I love the creative process- (Operations Manager to the end lol ) and I love, love, love the completed project. I turn up my music, typically 90s grunge/rock and the occasional 80s tune. Pearl Jam and Chris Cornell are my usual go-to-guys. Then I pour myself a generous rum. Did I mention how much I love rum (I have many Caribbean countries covered in my selection at home)? Then I begin baking! I love to sing and bounce around as I bake. Baking from scratch recipes is truly my ‘yoga’. I relax and slow down when I bake. Full disclosure: I am a home baker. I have no formal training, nor have I had the opportunity to take classes (other than what I learn on YouTube, recipe blogs etc.). I have always enjoyed baking. I remember watching my nanny bake fresh bread every day as a child when I would spend my summers “back home ” in the East Coast of Canada. My love and obsession of baking started a few years back when my hubby bought me my KitchenAid mixer, and my daughter bought me the Mixer Bible. I started to attempt recipes right away… with many errors. That did not stop me though because I love to challenge myself in attempting new recipes and techniques. I find recipes in cookbooks and online. I have even been known to have a dessert when out with girlfriends for dinner….and then try to recreate. I read the recipe over and over to ensure I have the process down pat, and I watch videos online. Love the Internet! 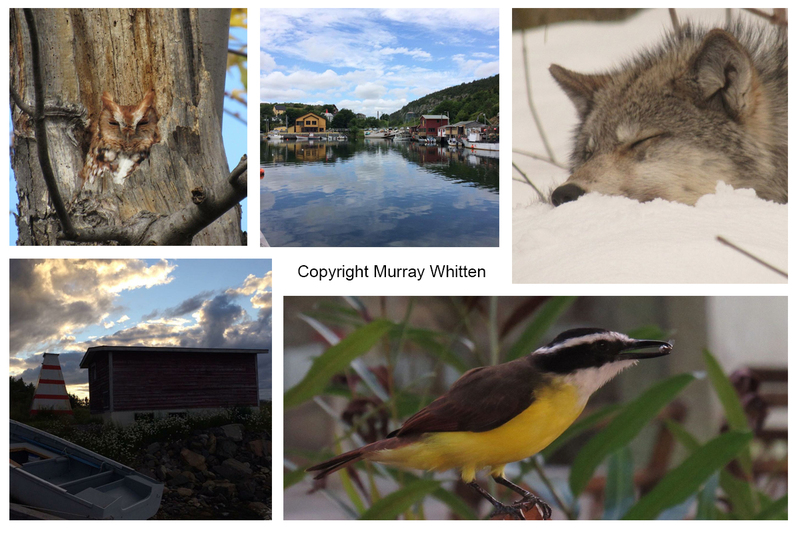 In addition to being a hobbyist baker, I also enjoy photography, particularly wildlife photography. I hope you enjoy spending time with me as I continue to learn while I do what I love!! Cheers to all and Happy Baking! My first official blog post will include my recipe for Classic French Napoleons (Mille-feuille). I have watched countless videos and read many to learn all about puff pastry. It is very laborious and time consuming, but OMG it’s frigging delicious. Of course you can always buy the butter puff pastry from your local grocer too. I, of course, will do that the next time, but I wanted to attempt puff pastry. The puff pastry recipe I used was from Martha Stewart. Get the recipe here. This recipe makes 2 pounds of puff pastry. In a medium-sized bowl, whisk together egg yolks and cornstarch until well-combined. Set aside. In a medium saucepan, heat milk, sugar, vanilla, and salt until simmering. Slowly add heated milk mixture to the egg yolks, ½ cup at a time, whisking constantly and vigorously to ensure the egg yolks do not curdle. Once the milk mixture has been completely incorporated into the egg mixture, return the mixture back to the saucepan. Cook over medium heat, whisking constantly, for an additional 2-3 minutes, or until mixture is thick and bubbly. Remove from heat and whisk in diced butter. Next, prepare the puff pastry. Cut a piece of parchment paper as large as the baking sheet you will be using. Lightly flour the parchment paper. Place both sheets of thawed puff pastry on top of one another on the piece of parchment paper. Roll them out into a 12x12 inch square. Using a pizza wheel, cut the square into three 12x4 inch strips. Prick the strips all over their surface with a fork. Transfer the puff pastry strips, with the parchment paper, onto baking sheet and refrigerate for 30 minutes, or until firm. Preheat oven to 425 degrees F. Bake the pastry strips for 10 minutes. Then, place a baking sheet directly on top of them and bake for an additional 6 minutes. After that, remove the baking sheet and bake for 6 more minutes, or until pastry strips are golden brown. Transfer to a wire rack to cool completely. Now, prepare the glaze. In a medium-sized bowl, whisk together powdered sugar, corn syrup, and melted butter. Add milk, 1 tablespoon at a time, until you reach a consistency that is pour able, but still thick. Transfer ¼ of the glaze to a separate bowl and whisk in cocoa powder to create the chocolate glaze. Spoon the chocolate glaze into a piping bag fitted with a small round tip. Alternatively, you can use a Ziploc bag with the tip cut off. Take one of the cooled pastry strips and flip it over. Pour white glaze over the surface of the strip, spreading it evenly with an offset spatula. Pipe lines of chocolate glaze lengthwise across the pastry strip. Drag a toothpick horizontally across the chocolate glaze to create a pattern. Alternate the direction you drag the toothpick in each line. Remove chilled pastry cream from fridge. Spread half of the pastry cream evenly over one puff pastry strip. Top with the second puff pastry strip, pressing gently to adhere. Spread the remaining pastry cream over this strip. Then, top with the glazed puff pastry strip. Refrigerate for 1 hour to let it set before slicing and serving. To store, keep refrigerated in an airtight container for up to 3 days. The mille feuille gets soggy with time. Recipe adapted from Peanut Butter and Julie. Thanks for reading my very first blog post! I welcome your comments! See you soon, and until then keep on baking!